In an uncontrived interaction with People Matters, Shailender Kumar, Regional Managing Director, Oracle India talks about Oracle digital hubs, and how working environment and workplace design helps in attracting, retaining, and motivating employees. Shailender Kumar is the Regional Managing Director for Oracle India. He leads a team of sales and sales consulting professionals from all lines of business—including technology, applications, middleware, and systems—that is focused on delivering Oracle solutions to more than 7,000 customers in India. Kumar also oversees new businesses such as the public sector unit, geo expansion into tier 2 and tier 3 markets, key accounts programs, and the cloud business. Prior to his current role, Kumar was the Group Vice President, key accounts program, and he grew this business into one of Oracle India's most successful programs. 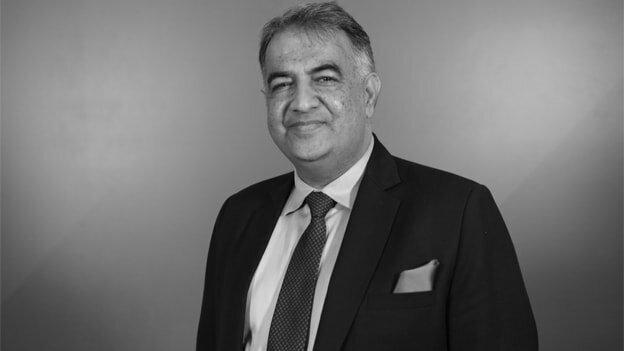 Under his leadership, the key accounts team became a significant contributor to Oracle India's overall revenue and a critical asset of Oracle India's growth strategy. He also successfully orchestrated a tightly integrated working model between the line of business leaders and key account directors, which resulted in high profile transformational business for Oracle India. Previously, Kumar served as vice president for India's Oracle Fusion Middleware business. Before joining Oracle, Kumar was the Managing Director at Quest Software and BEA Systems India Private Limited. In previous assignments, he has held senior positions at Microsoft India and IBM India. Kumar started his career with CMC Limited. Tell us about the Oracle Digital Sales Hubs. What is the business objective of these hubs? Primarily, the focus of Oracle Digital sales hubs is to help and support midsize organizations to transition to modern technologies, such as the Cloud as their buying needs are different — they look for simple processes, easy contracting and deployment etc. With our Digital Sales Hubs, SMBs can now have access to the modern solutions in the market that are available online via the Oracle Accelerated Buying Experience, direct via the hub, and through our expanded end-to-end ecosystem working with the vast Oracle Partner network. We want more SMBs to leverage Oracle Cloud solutions to streamline their operations, boost innovation, and gain a platform for growth. If you look at the SMB market in India, there are over 51 million SMBs, many of whom haven’t worked with Oracle or used Cloud services before. Our objective is to offer more freedom to SMBs, empowering them to dream big, giving them the freedom to transform, innovate, and focus on the core business putting aside infrastructure worries. Our investment reiterates our strong commitment to better serve the midsized market in the new cloud economy. What was the vision behind creating the new design for these hubs? Our objective to engage and partner with new and emerging SMBs, support their growth journeys, and facilitate faster decision making by empowering them with our technology to accelerate their foray into new markets outside of India aligns with the design of these hubs. The new design is a reflection of our new thinking — our enhanced focus on the SMB segment. Each of our Digital hubs provides a distinctive native feel and exudes the energy of a startup. For example, the design of our India hub in Bengaluru revolves around the ‘mandala’ (a Sanskrit word symbolizing collaboration) and brings in the artistic flair of the Indian heritage together with the latest technology. The new approach has been purposefully designed to provide a space for unfettered collaboration, creativity, and productivity. The workplace design for Oracle Digital team is starkly different from the traditional Oracle office design. What are the factors that drove that departure from the workplace design perspective? For us, the concept of ‘space’ is a part of the organizational development and it encompasses the paradigms that revolve around what employees feel about the workplace, their likings, and beliefs. We offer a plurality of spaces. We wanted to put in place a digital workforce that could understand the pulse of the SMB market segment faster and better. To house this digital workforce, we wanted to build a contemporary workplace with stimulating and supportive workspaces that reflect the diverse backgrounds of our teams, while also catering to the individual work styles, moods, and tasks. A deep understanding of local cultures and contexts mean that our teams are able to connect with our customers across many different levels. Our hubs are designed to help efficient interactions between the physical and digital worlds to create rich and immersive, experiences for our customers. How does workplace design help attract, retain and motivate employees and also correlate with organizational culture? Employees are the most valuable assets of any organization. In the digital economy, where the war for talent perennially rages on, companies need to think anything but linear to attract and retain the best talent. A key element of this process is providing the right workplace setting. There are numerous studies to highlight the benefits of a well-designed workplace – one that supports employee wellness stimulates free and fresh creative thinking, boosts productivity, and lifts employee energy levels and pride. Our hubs reflect our dedication to a sustainable workspace. Wherever possible, we have incorporated recycled or energy-saving elements in the space. For example, the carpet is made from recycled fishing nets pulled from the waters. Our employees understand and appreciate Oracle’s focus on sustainability and imbibe the same spirit. Workplace design embraces an organization’s culture in different ways. At the heart of workforce inspiration, resides the organization’s culture. A greater correlation between a company’s culture and its workplace design leads to greater employee alignment to the organization’s ethos. Given today’s diverse workforce, a ‘one-size-fits-all’ approach to workplace design doesn’t work. The key lies in figuring out how employees interact in their daily work. Our hubs offer breakout spaces for quick, short discussions as well as quiet, concentration zones for undisturbed thinking and collaboration. What are the different innovations that have been brought in the new center designs and what is the behavioral intent of those spaces? For the Bengaluru hub, our first such hub in APAC, the design was centered on a single, unifying theme: the Mandala. Team members have the freedom to explore workspaces that they feel most at home with and can choose to work in spaces that suit their needs, be it independent or as a group. Singapore, which houses our fourth such hub, is a multicultural country, as well as the ASEAN hub. We chose four ‘ethnic’ themes and commissioned a local graffiti artist to weave them into a stunning mural that highlights the harmony in diversity. We’ve pushed the envelope across our concentration and collaboration spaces, adding more dimensions and diversity across both axes. We’ve had great success with our innovative furniture ideas. Our people love using the modular furniture items that we’ve incorporated into our concentration (or individual), and our collaboration (or teaming), spaces. We’ve always worked on the concept of “neighborhoods”, which means that everything an individual need is accessible and from a very short distance away. In terms of innovation, we introduced more tactile technologies: touchscreen monitors, smart-boards, etc. Singapore also has more unstructured spaces to encourage design thinking and challenge the status quo. What are the benefits you are looking to achieve from the new design? How is this related to the transformation journey of Oracle? Oracle Digital is in the business of digital transformation. With these Digital Hubs, we’re creating a different go-to-market approach to empower more SMB customers to benefit from enterprise-grade technology and dream bigger than before. Through this approach, we’re creating a different kind of workplace design that employs a digital workforce, one that’s more in sync with SMB market requirements. Our hubs reflect this and are designed to transform the way we work, collaborate, and serve our customers. We are constantly learning and adapting. We want the employees and customers to feel welcomed and so for the design, we went with images that reflected and connected the cultures with the contexts. For example, walls are etched with the outline of an iconic local skyline and we have even integrated a local ‘flavor’ or component into the ODP logo in each hub. For our next hub, we are looking at incorporating more unstructured and multipurpose spaces. We are looking at modular and even custom-built furniture that we design ourselves. We will definitely provide more fun-play areas in the hub where employees can have spaces to brainstorm and be more creative.